I have just gotten back from my Polar Bear Photo Tour in the Canadian sub Arctic. Trying to catch up on some Canon photo news when I was away. It was quite a productive trip. The weather was 'milder' than past years and I will be processing the photos when I have a chance to rest up and look at them. 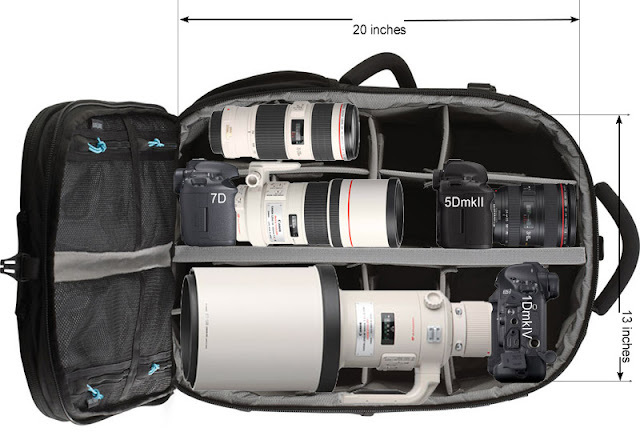 Tamrac Inc., the long time photography bag manufacturer went bankrupt and was acquired by GuruGear last year. Now the new combined company is called Tamrac. I have been a wildlife photographer for 25 years using both Canon equipment and Tamrac bags. It is a sad day to see my old favorite Tamrac gear disappeared. I will need to replace one of my smaller bags soon and is trying to decide whether to go with Think Tank or GuruGear. Canon Seeking To Acquire An Image Company? Nikon D5 Coming To CES 2016 in Las Vegas? Are Worldwide Camera Sales Still Declining?